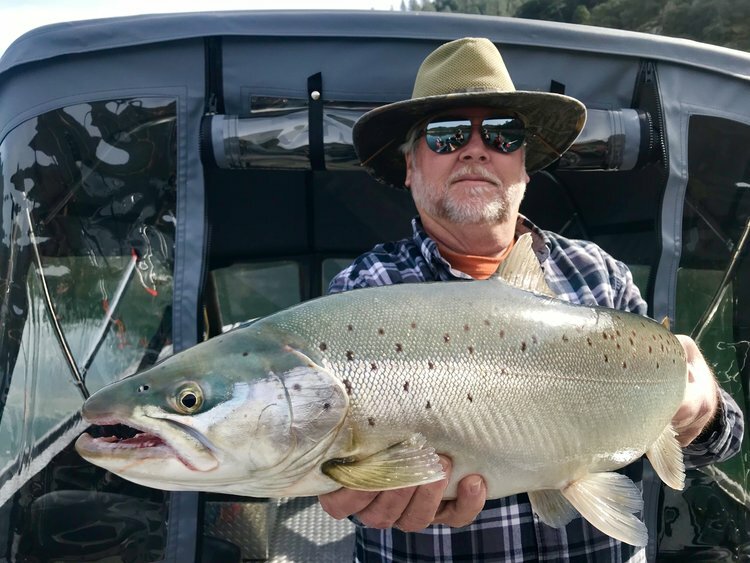 Epic days on Shasta Lake! 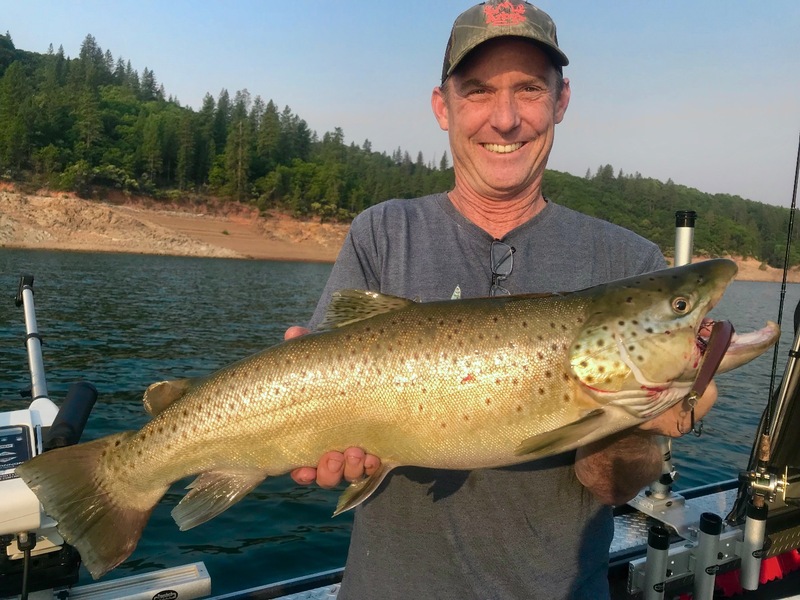 Shasta Lake browns are on the bite! 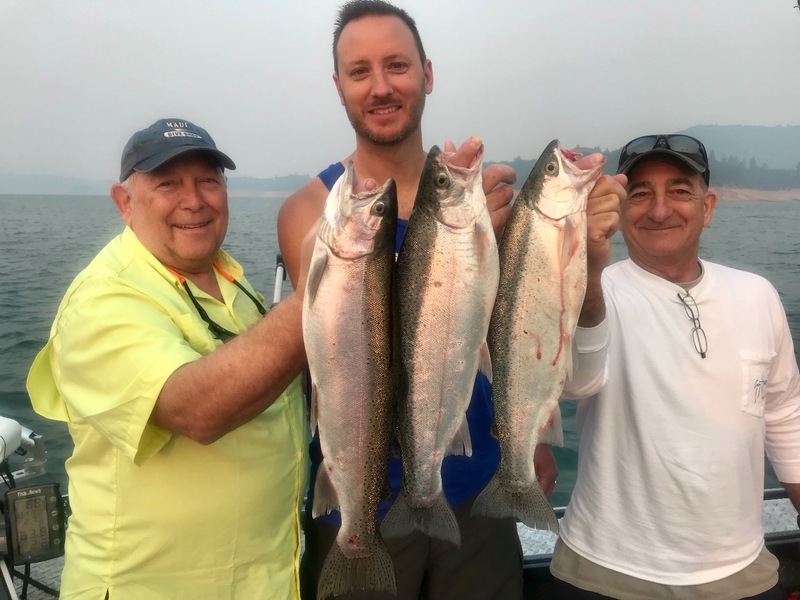 Today we fished Shasta Lake and got into a good grade of fish early on again today. We started with a big bite and the tough loss of a big brown on our first pass. We bounced back and ended up with limits of fish averaging 3-7 pounds. We had 15 trout and 2 bass in the box by 12:30 so we called it a day. Brian Moore caught his first ever brown today and it tipped the scales at 7.15 lbs. What a great day of fishing with a great family. I had a blast watching the Moore boys fighting fish, and it was obvious they were having a good time too. Next week is open the 7th, 8th, and 10th due to fire cancellations. 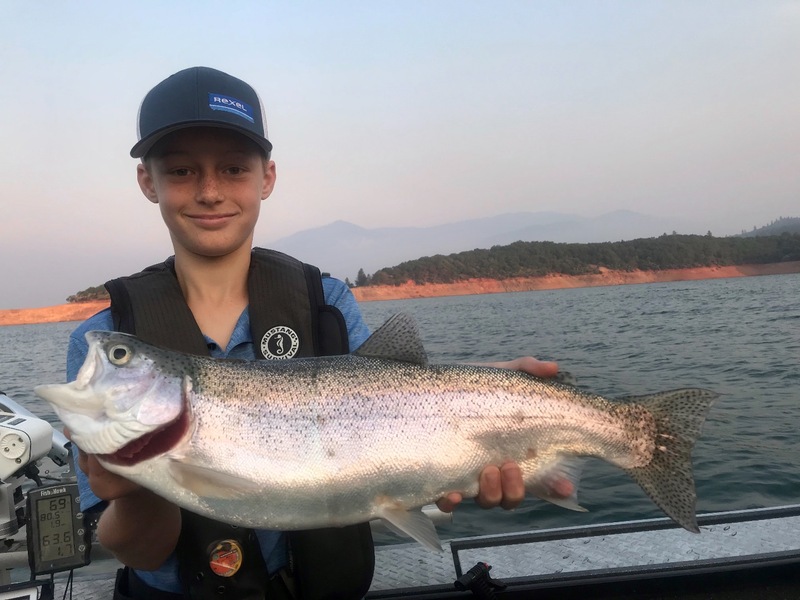 If you want to get in on some big fish action, now is the time.